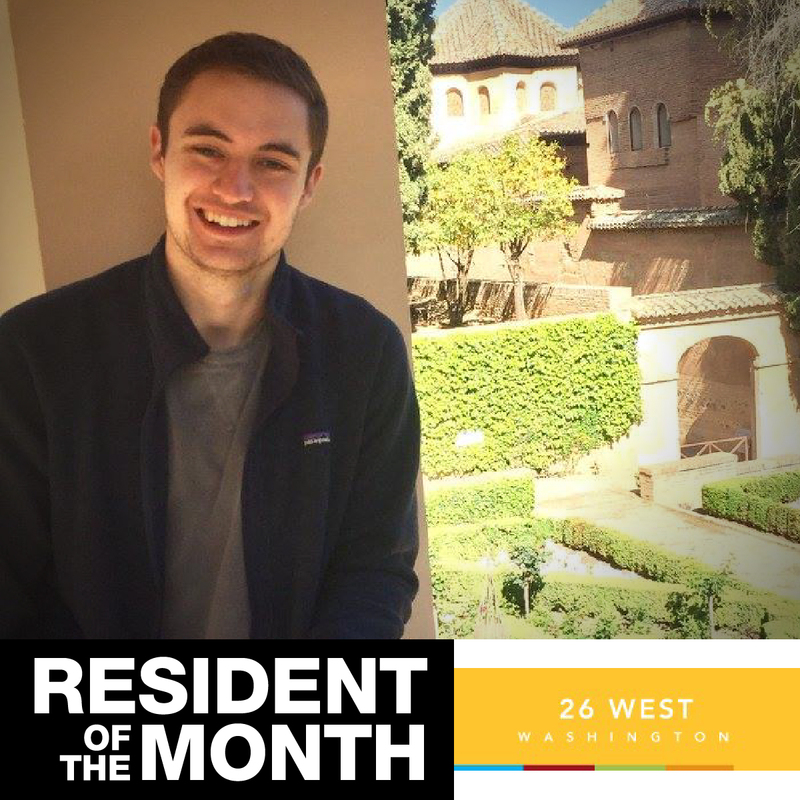 Meet Sam, our Buckingham Urban Living May resident of the month! Sam is a resident of ours in 26 West! What do you love most about living downtown, and what's your favorite spring activity around downtown Indy? My favorite part of living downtown is definitely the close proximity to work. Being able to walk to the office in five minutes improves my quality of life immensely. As for a favorite activity, I enjoy walking the canal after a long day at work to unwind. What is your favorite feature of your apartment at 26 West? As I said before, being at the heart of downtown is undoubtedly my favorite feature. However, I also find my apartment to be very quiet, which is nice to get away from the noises of the city. What is your favorite downtown event? Probably the 4th of July fireworks, although, the Christmas tree lighting on Monument Circle is also fun to be a part of. Thanks, Sam, for sitting down with us and answering some questions about why you love Buckingham Urban Living and living in downtown Indy! Interested in being featured as a resident of the month? Contact our leasing team today!